Today’s print is the third in a series of 4 which were inspired by Neil Gaiman’s Sandman. This plate represents one of a pair of “twins,” Despair, the sister to desire. I went entirely abstract with this one, as Despair wears no clothing, squatting in her domain of mirrors, listening to people’s murmurs as they look at themselves. The dripping aquatint shading grows dark and darker as it goes down the image, layer upon layer of the illusions we build to cover up the darkness inside. 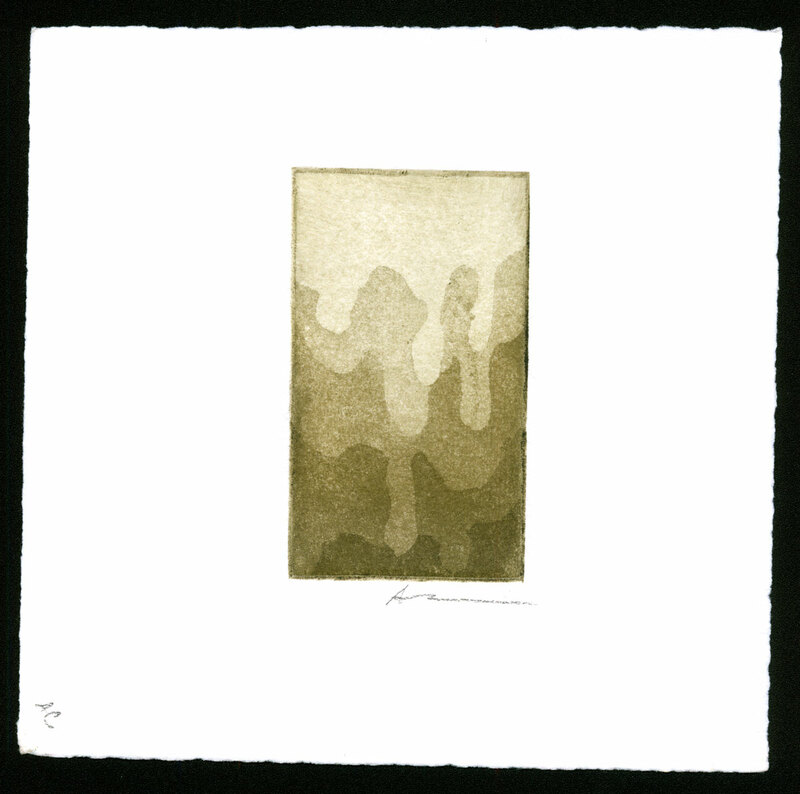 Despair, 2″x2.75″ etching on 6″x6″ watercolor paper, 1/1, $199 with free shipping.